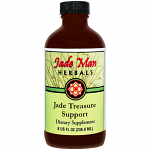 The Jade Man series of formulas for male factor infertility includes two formulas which address functional testicular disorders leading to low sperm count, poor motility, high percentage of abnormal forms and high levels of DNA fragmentation. 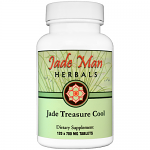 Jade Treasure Cool and Jade Treasure Support are essentially identical with one important distinction. Where there is Heat it must be cleared or the Kidney Yin will be damaged and will not function to nourish the sperm by means of the seminal fluid or to support Kidney Yang. Hence in Jade Treasure Cool, 3 herbs which clear Heat replace 3 herbs which support the Yang in Jade Treasure Support. 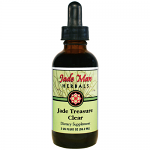 The third formula in the series Jade Treasure Clear addresses varioceles and immune factors which might be affecting sperm production or performance.